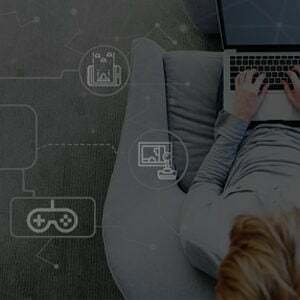 Till a few years ago, the impact of Gamification-based training had a big question mark associated with it—While Gamification provides fun-based learning to users, does it indeed help them achieve a specific learning outcome? Gamification for serious learning has made steady progress in the last 4-5 years and is being acknowledged as an effective approach for various types of corporate trainings. Learners love Gamification as it provides the element of “fun” with serious learning. Organizations see the value in its usage for sticky learning, application on the job, practice and nudges to mastery, and driving the required behavioral change. With the reduction in development costs and shorter time frame to develop, L&D teams will see higher value in this investment in 2019. Gamification for learning is a great approach to boost the motivation and engagement quotient. To take that learner engagement level a notch higher, what you should be looking at is not just standard Gamification elements but Next Gen Gamification approaches. Don’t just challenge your learners with points, badges, and leaderboards. Adopt Next Gen Gamification techniques and strategies that you can use and see your training impact soar. You already use Gamification for learning and are looking at Next Gen approaches that will resonate better with your learners and help you create a higher training impact. Grab your free copy from here! You can access the webinar recording on the same topic from here. To learn more about EI Design’s solutions and services, please visit our website. In 2018, EI Design won GOLD by sustaining a high level of performance and creating a remarkable impact on the eLearning landscape. Prior to this, it has been ranked as #2 for three years in a row (2015, 2016, and 2017) in eLearning Industry’s list of Top 10 e-Learning Content Development Companies. Spice up learning experiences (through Microlearning, Social Learning, Gamification, and Personalized learning). Adopt new immersive approaches like Virtual Reality (VR) and see your learning impact soar.